This hotel is well located in Navalcarnero. The property is situated just 25 km away from the captivating city of Madrid, where many cultural and historical attractions can be found. Guests will find a number of shops, restaurants and entertainment opportunities just a short driving distance away. Links to the public transport network can be found nearby. 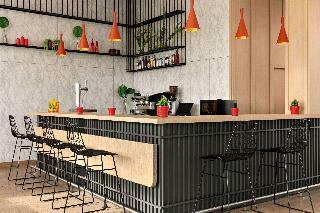 This modern hotel offers the ideal option for business and leisure travellers alike. The guest rooms are superbly styled, offering the utmost in comfort and convenience. Fully soundproofed, the rooms ensure peaceful slumber. The hotel features a restaurant, as well as a conference room. This chic and contemporary hotel is nestled in Rivas-Vaciamadrid, just 15 km away from the city centre of Madrid and its most emblematic highlights as Puerta del Sol, numerous museums, the best shopping options and entertainment venues such as the popular theme parks. It is well-connected to the capital, offering easy access to A3 road and only 900 metres from Rivas Futura metro station. Visitors will be impressed by smart design, cutting-edge facilities and host of on-site services. The luminous and ample rooms and suites offer a modern design and state-of-the-art comforts to provide everything one may need to feel at home. Guests may enjoy a wholesome breakfast and dine on refined dishes at the hotel restaurant. Those coming for business purposes may take advantage of conference facilities and all guests may make use of Turkish bath and well-equipped gym. The garage and laundry service are also on offer. This charming hotel is located in the suburbs of Rivas Vaciamadrid. It lies just a short driving distance away from the Faunia. 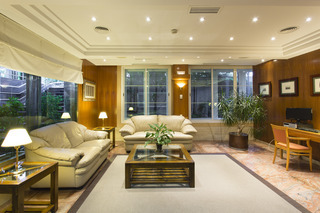 The nearest station, Rivas Vaciamadrid, can be found within easy access of the hotel. A host of shopping, dining and entertainment opportunities, as well as many attractions, can be found nearby. This property features stylishly-appointed guest rooms, which offer a relaxing setting in which to unwind. It offers an elegant restaurant, where guests can dine in style. Those travelling for work purposes will be pleased by the hotel's conference room. This hotel is the perfect option for every type of traveller visiting the area. This lovely and comfortable hotel boasts a quiet location just 10 minutes from the municipality of Rivas Vaciamadrid and 22 kilometres from the city centre of the bustling and vibrant Madrid. Moreover, the property is a mere 17 kilometres from Warner Bros theme park, being the perfect accommodation option when travelling with children or for business in the surrounding area. All guest rooms are decorated in a cosy and cheery look, including modern amenities to ensure a pleasant stay. They have functional features for those who need to work or just relax and include a spacious private bathroom with shower and bidet. Business travellers may take advantage of the meeting facilities on-site to hold a meeting or an important event. 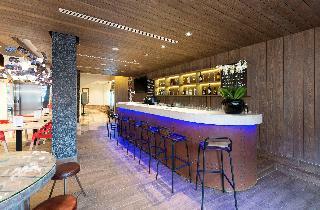 Moreover, guests may relax with a refreshing drink at the hotel's bar or taste delicious dishes at the restaurant. This business friendly hotel is located in the La Laguna Business Park in the south part of Madrid, but is only a short 20-minute train ride from the city centre. The Arroyo Culebro metro station is 990 metres from the venue and offers an easy access to the rest of the city, while the area around it offers a number of shops and attractions - Arroyo Sur is a 5-minute walk from it, the big department store El Corte Ingles and the outdoor area Bosque Sur can be reached for less than 10 minutes. The establishment features exclusive design and excellent services, making it a perfect place for both business and leisure travellers. All of the well-appointed rooms open to nice terraces and feature well equipped kitchenettes. Guests can take advantage of the onsite dining options provided by the café and the restaurant. This lovely and inviting hotel is a great accommodation option for everyone travelling to the capital of Spain both for business or leisure. The property is situated a mere 12 kilometres from Madrid's city centre, where visitors might find plenty of sightseeing attractions and entertainment venues such as Plaza Mayor, the Royal Palace or the famous Prado Museum. The lively Gran Vía avenue with numerous luxurious and chic shops is also easily accessible. The cosy and well appointed guest rooms and suites are decorated in a classical but comfortable way and come equipped with all the necessary amenities for an unforgettable stay. Travellers might make good use of the well fitted meeting and banqueting rooms available to celebrate any kind of event. Visitors may also sample a delicious breakfast buffet and exquisite specialities at the on-site restaurant. This hotel is located in the Nuestra Señora de Butarque Industrial Park, in Leganés. It is strategically located just 1 km away from the centre of the town, where an abundance of restaurants, shops, nightclubs and bars can be found. Links to the public transport network can be found nearby. The train station is just 2 km from the hotel. This modern hotel oozes charm and style. The individually-designed guest rooms afford a relaxing ambiance, and are well equipped with modern amenities. Guests are sure to be pleased by the many facilities and services that the hotel has to offer. Guests are invited to enjoy a wonderful, buffet-style breakfast in the mornings, before setting off to work or explore the area. 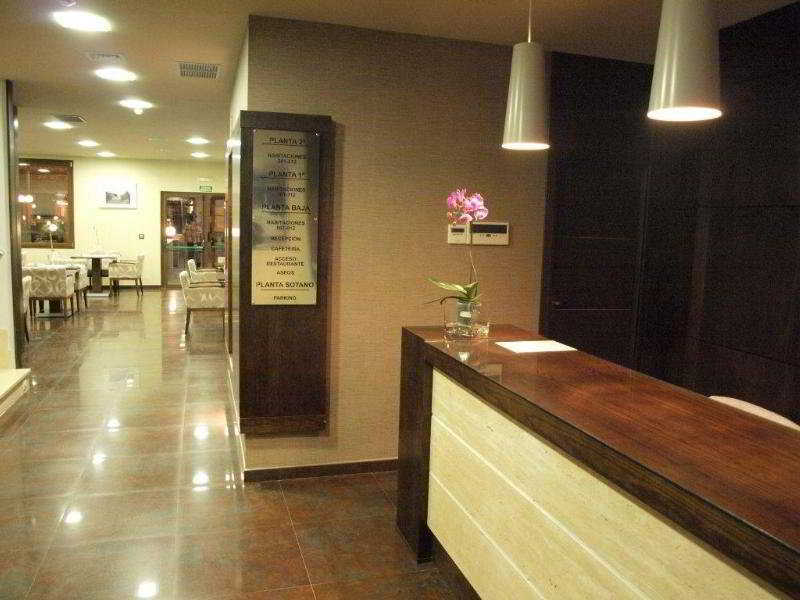 This hotel is ideally situated just 9 km away from the centre of Madrid. Enjoying a peaceful setting, the heart of the entertainment is never far away from this hotel. The hotel lies in close proximity to the many attractions that this bustling city has to offer. A wealth of shopping, dining and entertainment opportunities can be found nearby. Convenient public transport links are just 200 metres away from the hotel. This charming hotel greets visitors with warm hospitality. The guest rooms are spacious and well equipped with modern amenities. Business travellers will appreciate the hotel's conference facilities. The hotel features an a la carte restaurant, where delightful dishes can be enjoyed. 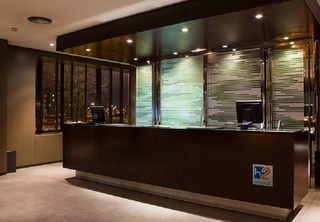 This wonderful hotel enjoys a quiet and convenient setting in Tres Cantos, within a 22-minute drive to downtown Madrid and only a short stroll from Tres Cantos business district, where to find numerous international companies' offices. Set within 500 metres from the railway station affording travellers easy reach of the most important Madrid's attractions. This stylish establishment is sure to enchant visitors with the combination of convenient location, charming décor and attentive customer service. The guests' accommodations range from rooms to mode spacious suites. The units enjoy a tasteful décor and are fitted with modern amenities, provided to ensure a fully comfortable stay. 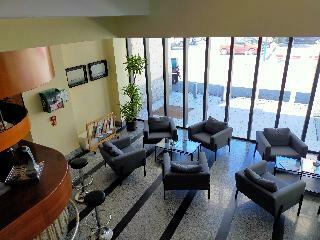 Patrons may take advantage of delicious continental breakfast and also sip a drink from the inviting bar. There are business facilities and on-site parking for guests' added convenience. The hotel is located in Tres Cantos. The local train station is just 150 m from the hotel. Madrid city centre is 15 km away and Madrid-Barajas Airport is approximately 20 km from the establishment. This air-conditioned business hotel offers a 24-hour reception, currency exchange facilities and lift access to the upper floors. There is a café, bar and restaurant on-site. Guests may also take advantage of the wireless Internet access, room service and a meeting room. There is a car park and garage available. The rooms come with an en- suite bathroom with shower, bathtub and hairdryer, a double or king-size bed and individually regulated air conditioning and heating. Other in-room amenities include a telephone, safe, mini-bar, mood music, satellite TV and wireless Internet access. The hotel is ideally located in one of the most important commercial and industrial areas in the south of Madrid, next to Nassica, a factory shopping centre. The hotel is only a few minutes away from Warner Bros Park, Getafe C.F. football stadium and 15 minutes away from the centre of Madrid. It is easily accessible from the A4 motorway, which connects to all major city ring roads. It is close to the industrial parks of Las Arenas de Pinto, El Lomo, Los Angeles and San Marcos. Barajas International Airport is situated approximately 24 kms away. This modern and functional hotel with a smart design was built in 2008. It offers outdoor enclosed parking with surveillance for all hotel guests. The rooms feature a refreshing modern decor and an invigorating power shower. The air conditioning and heating in all rooms is individually regulated for additional comfort. 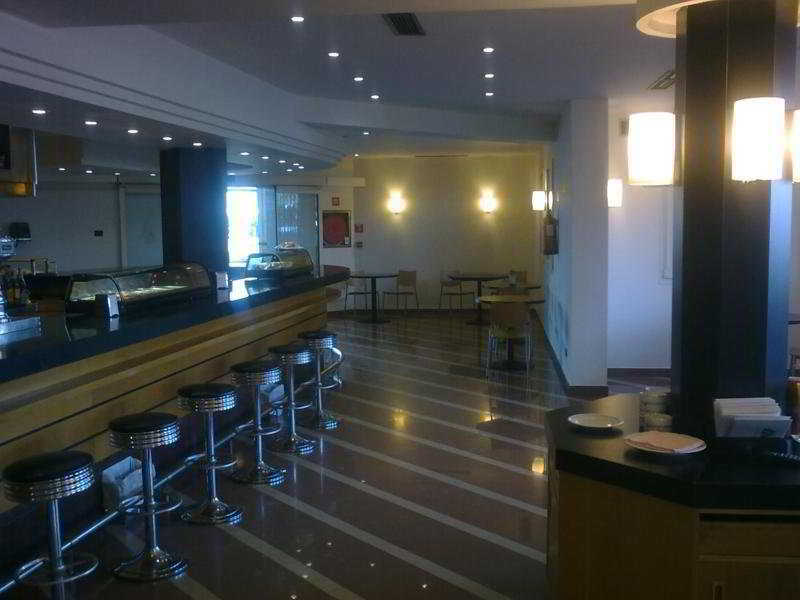 This upscale hotel is situated in the city centre of Getafe. It is located just a short distance away from the many attractions and points of interest that the area has to offer. Links to the public transport network can be found nearby, offering ease of access to other areas to be explored. The hotel is located just a short distance away from many shopping, dining and entertainment opportunities. This modern hotel welcomes visitors into the elegant surroundings of the lobby. The guest rooms are wonderfully designed, offering comfort and style. The hotel offers a range of facilities and services, and its staff are on hand to ensure that guests' needs are fully met, to a high level of excellence. This modern hotel with Chinese features in its architecture is situated in Getafe, just outside of the Spanish capital of Madrid. The town centre, a shopping centre and the Ciudad del Automóvil centre are within walking distance, as is the Getafe Central Metro Station providing easy access to all areas of Madrid. The Stadium Vicente Calderón, home of Atlético de Madrid, can be reached within a short drive. This hotel boasts an idyllic setting in Getafe. It is surrounded by stunning natural scenery, just a short distance away from the centre of the town. Nassica shopping and leisure centre can also be found nearby. The hotel is situated within easy access of the Warner Bros Park. Links to the public transport network can be accessed nearby. The hotel is situated just a 20 minutes' driving distance away from Aranjuez. Madrid is also located nearby. This family-friendly hotel is sure to impress. The guest rooms have been designed with comfort and convenience in mind. The hotel offers an extensive range of facilities and services, attending to the needs of every type of traveller. This hotel is located in Getafe in the new business district of La Capetania, adjacent to the business areas of San Marcos, El Lomo, Los Ãngeles and Las Arenas de Pinto. It is just 1 km from the shopping and leisure centre Nassica Factory, and very close to Warner Bros. Theme Park (12 kms) and the Aranjuez Casino (30 kms). This newly built city hotel, opened in 2009, is perfect for business trips thanks to its location and its conference facilities. This family-friendly property comprises a total of 96 rooms and further facilities on offer to guests at this establishment include air conditioning in common areas, a café and a restaurant where meals and refreshments are served. All rooms come with a private bathroom and feature quality accommodations including individually adjustable air conditioning and heating. This popular hotel is located in Alcalá de Henares, in a tranquil quarter of the city. The historical and cultural centre of Madrid is only minutes from the hotel. Directly in front of the hotel, guests will find a bus stop (line 7), enabling easy access to the bus station and the underground station. The airport and the exhibition centres are reached in 15 minutes on public transport. The nearest large city is around 25 km away. The hotel was built in 1995, has its own garden area and offers a total of 42 double rooms spread over 2 floors. 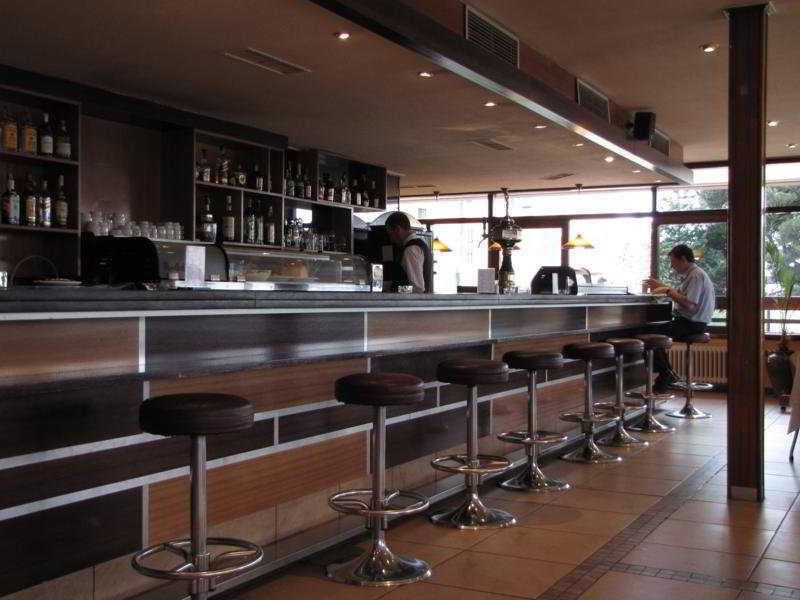 Furthermore, there is a café with a terrace, a cosy bar and a splendid restaurant, "El Cardenal". Business guests may make use of the conference facilities. Room and laundry services are additionally. Cars may be parked either in the hotel car park, or in the garage. The hotel offers fully equipped stylish en-suite rooms.